It was a party atmosphere outside as fans waited for the pop star to arrive. 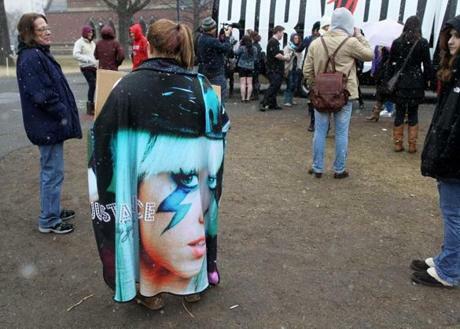 Lady Gaga arrived at Harvard University to launch her Born This Way Foundation. 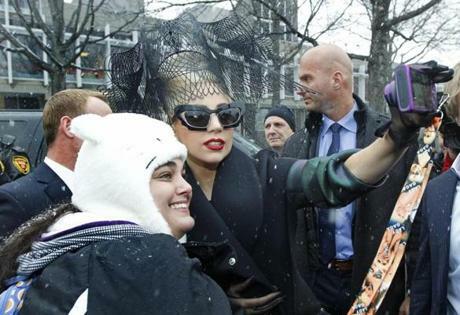 Lady Gaga walked through campus on her way to the event. She was surrounded by security as she made her way through the campus. Students, spectators, and members of the media were there to greet her. During her visit, she braved light snow, met some fans, and stopped for pictures. The singer came to Harvard to launch her nonprofit charity aimed at reducing bullying. The star power behind her group, along with help from Harvard’s Berkman Center for Internet and Society and its Graduate School of Education, makes it one of the most high-profile efforts against bullying, which has increasingly become a focus of education experts, policymakers and politicians nationwide. 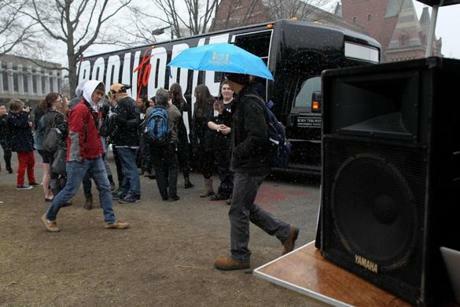 A giant bus sat outside where Lady Gaga entered the scene. 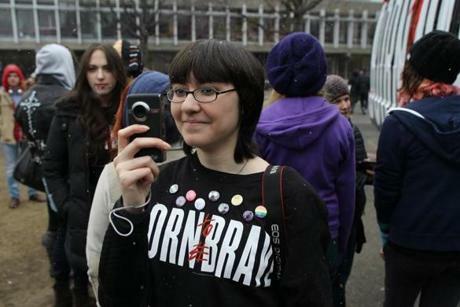 Mirissa Leja took photos of the spectacle at Lady Gaga's Harvard event.